In Part 1: Start With Why, I wrote about discussing the strategic direction for mentoring with your senior decision-makers. Part 2 Needs Analysis and Consultation focused on understanding what a particular group really need from mentoring in order to achieve the outcomes you want. 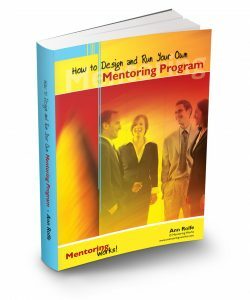 Now you are ready to design a mentoring program brings together the strategic direction, needs analysis and consultation and will deliver specified outcomes within the budget and resources allocated. 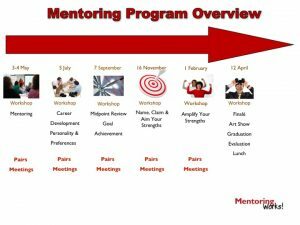 Here is an overview of the participant activities included in an award-winning mentoring program, now in its fifth year. This program runs for 12 months and brings people together for face-to-face events that provide learning, networking and the opportunity for 1-1 mentoring meetings throughout the program. Both mentors and mentees attend workshops that run from 9.30-3pm. Many fly in the night before and can get together socially. Otherwise, they are encouraged to arrive at 9am for a pre-workshop catch up with their mentoring partner and use 3-5pm for mentoring as well. Participants receive a package of resources to use during and after the program that contains both hard-copy and digital materials. This mentoring program is highly valued by the organisation and participants. Mentors say they gain as much from it as mentees, who count promotions, better health and well-being, confidence and increased productivity amongst their outcomes. To prevent unrealistic expectations, it is essential that you design the program to meet the specific needs you uncovered in the needs analysis and consultation. What you can include in your program depends on the program objectives and your budget and the extent to which you can show links to strategic aims and gain support from decision-makers. Part 4 will discuss how to communicate and educate people so that you prevent unrealistic expectations. 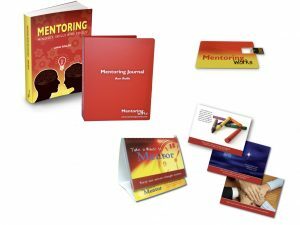 If you found this post useful and you are planning a mentoring program you’ll definitely want to look at the Fast Track Your Mentoring Program Planning package.